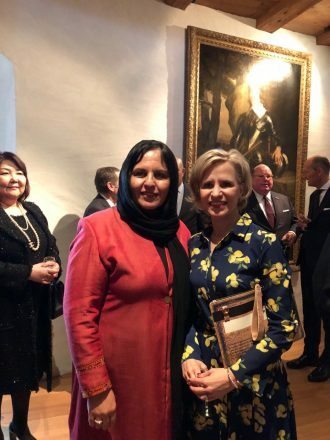 1 April 2019, Ambassador Khojesta Fana Ebrahimkhel accompanied by Mr. Azizurahman Safawi Consular of the Embassy pay visit to Salzburg in order to attend a Migration Dialogue where Ambassador Ebrahimkhel was invited to deliver a speech on Afghan migrants and asylum seekers in Austria. This was later followed by a plenary discussion with Dr. Andrea Holz-Dahrenstaett, Youth and Child Lawyer and Dr. Josef Mautner, founder and member of Platform for Human Rights (Plattform für Menschenrechte). 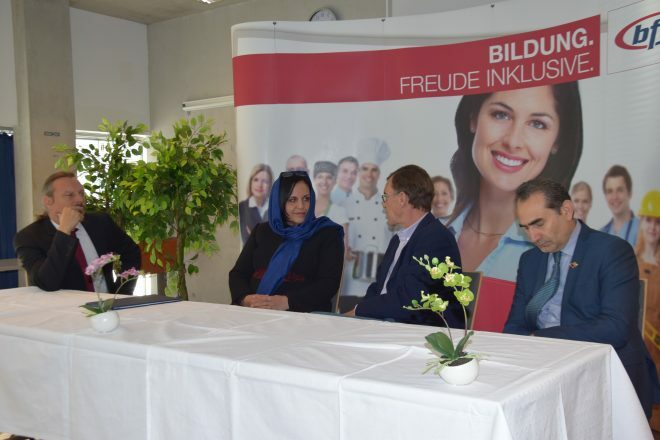 The event was organized by the Bildungszentrum St. Virgil and the Integration Department of the Government of Salzburg. 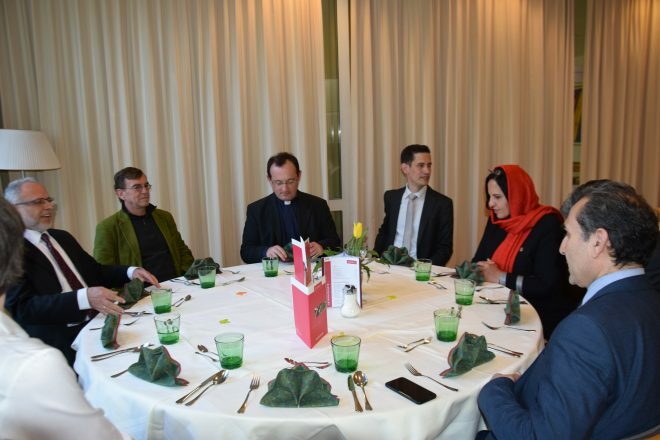 The meeting was attended by government representatives, including State Councillor Andrea Klambauer, and by more than 200 lawyers, students, professors and academics from different Universities and NGOs. 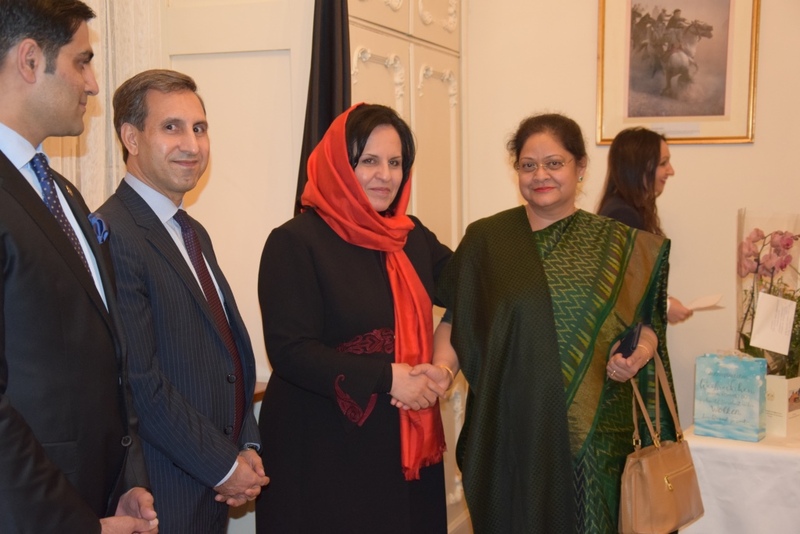 Ambassador Ebrahimkhel outlined in her speech the bilateral relations which so happily exist between the two countries and thanked Austria for its continued support for Afghanistan and Afghan refugees. 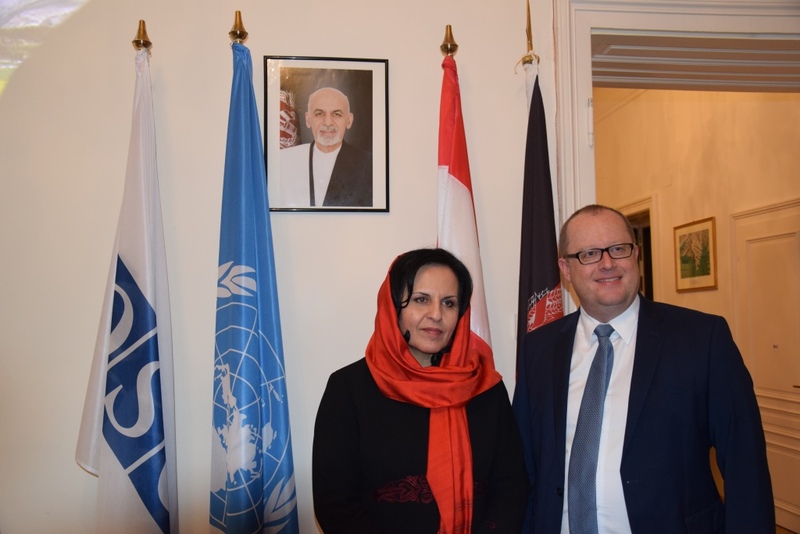 She further stated that the Embassy and Permanent Mission of Afghanistan in Vienna is always eager to provide the best services to Afghan migrants and asylum seekers in Austria. 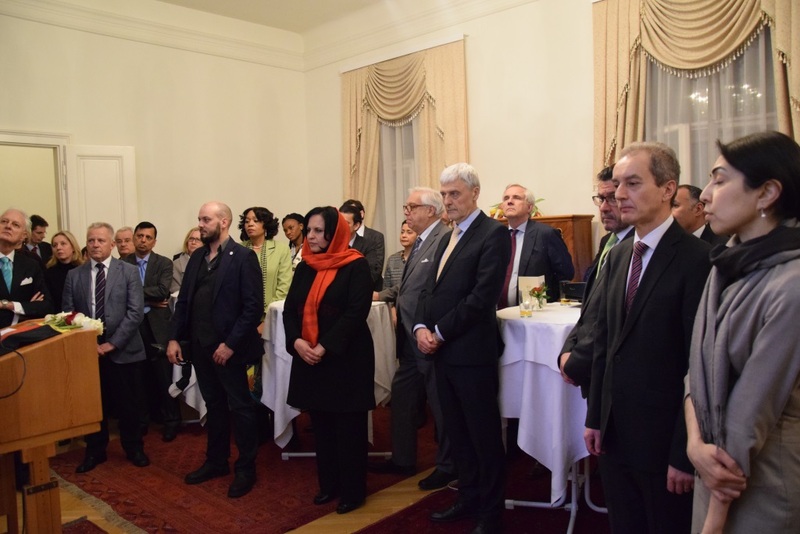 Serving the needs of migrants have always been the highest priority in our work, therefore we have established a legal platform within the Embassy to fully monitor the implementation of the Joint Way Forward agreement, which indicates the obligation of both sides dealing with migrants and deportees. We will make sure that in the overall asylum seeking and deportation processes the agreement and other international legal and humanitarian norms and principles are observed. 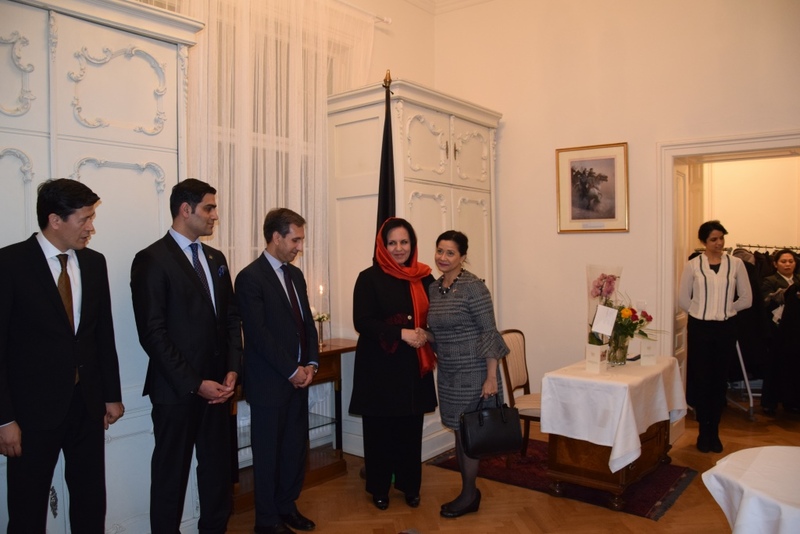 Nonetheless, we also share no sympathy to those Afghan migrants detained and convicted for criminal and illegal actives in Austria. 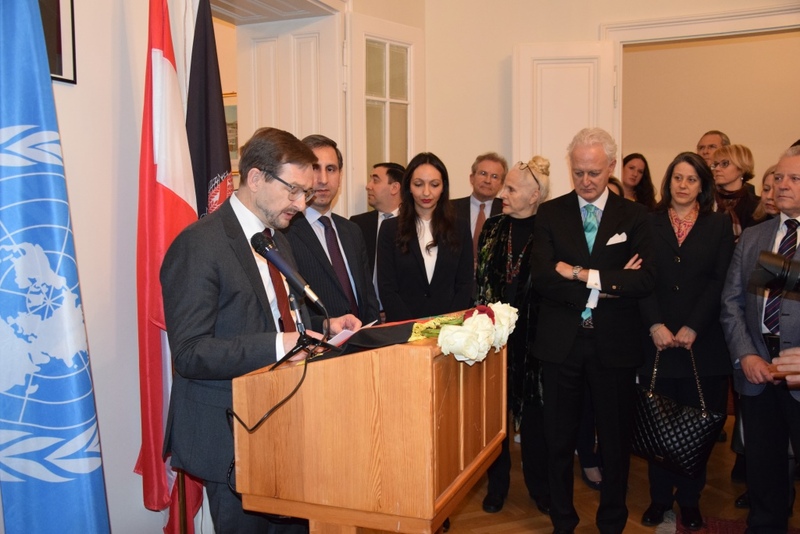 In these cases we are always ready to work with the Austrian Ministry of the Interior to help with deportation process. 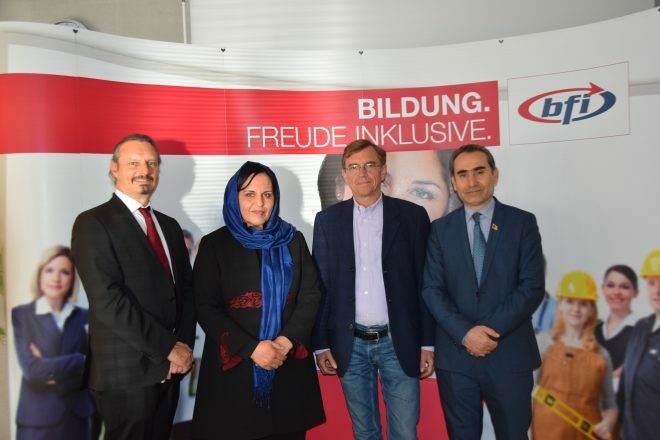 The next day, Ambassador Ebrahimkhel was invited to visit the Berufsförderungsinstitut (BFI) Salzburg, an educational institution of the Salzburg Chamber of Labor that allows its customers a low-threshold, broad and attractive access to vocational education and training. 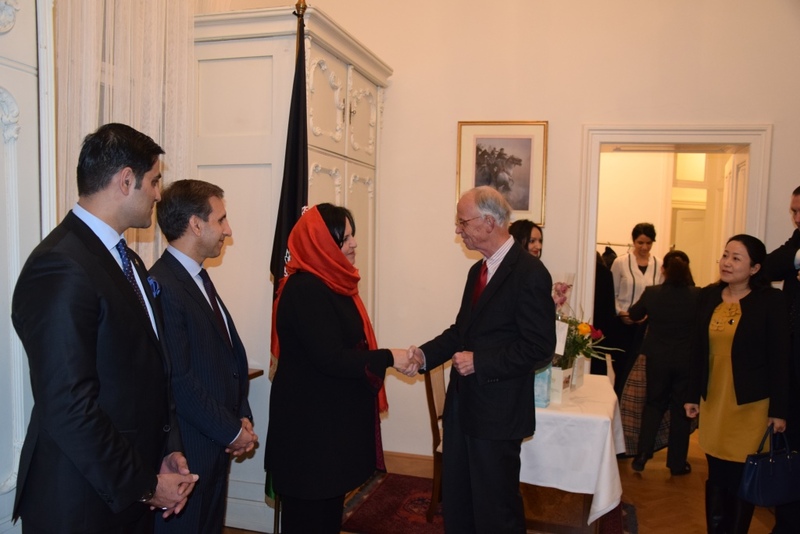 Mr. Werner Pichler, Director of BFI Salzburg, and Mr. Wolfgang Schick, Head of Section Youth, Generations, Integration of the Office of the Salzburg Provincial Government, gave a presentation of the BFI and opportunities for Afghan people in Salzburg. 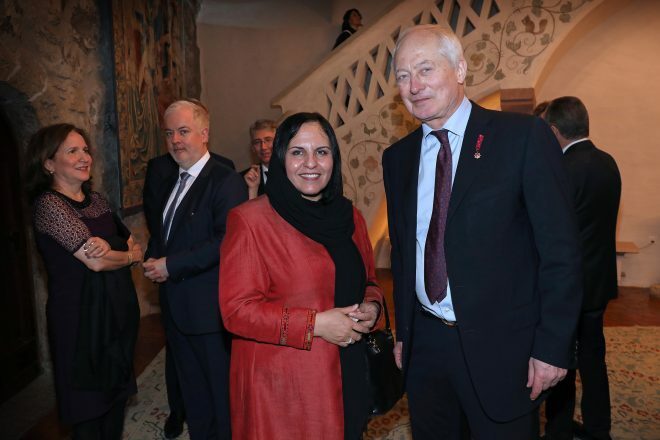 Afterwards, Ambassador Ebrahimkhel met the many Afghans present at the BFI, who are engaged or have completed various training courses. 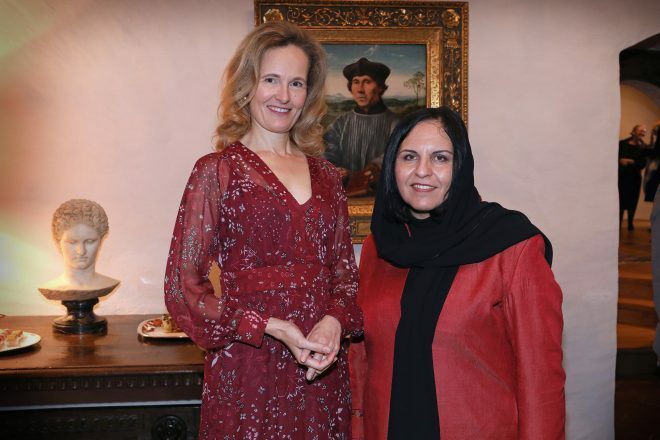 Ambassador Ebrahimkhel expressed her thanks for the warm welcome in beautiful Salzburg and the interesting exchange, which will be deepened in the near future. 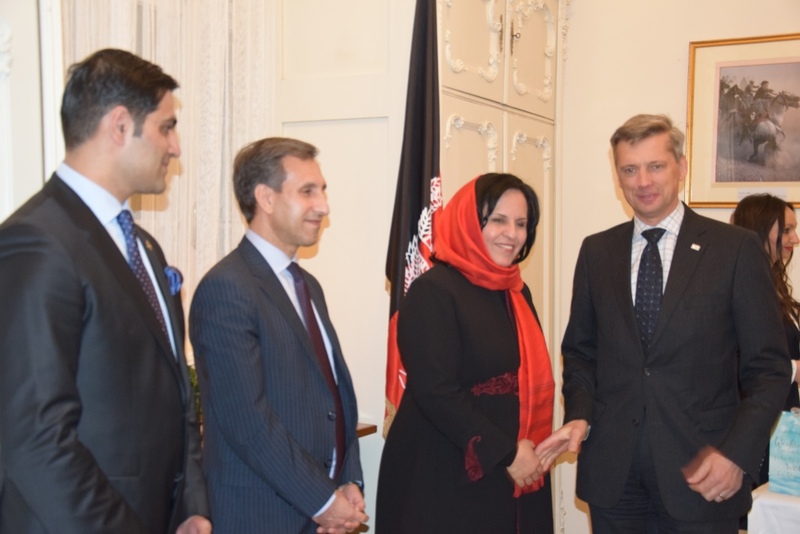 Afghanistan has been an OSCE Partner for Co-operation since 2003 and the OSCE has provided essential programmes and projects for stakeholders from Afghanistan ever since. Furthermore, the OSCE has deployed Election Support Teams to all elections that took place in Afghanistan since 2004. On the occasion of the Liberation Day of Afghanistan, the Embassy and Permanent Mission, including the Consular & Visa Section of the Islamic Republic of Afghanistan will remain closed on Tuesday, 14 February 2017. 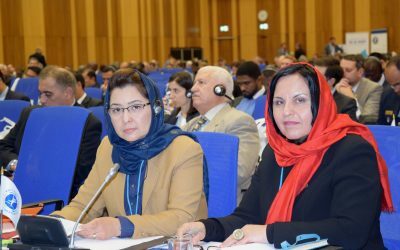 Anlässlich des Jahrestages der Befreiung von Afghanistan bleibt die Botschaft und Ständige Vertretung, sowie das Konsulat der Islamischen Republik von Afghanistan am Dienstag, 14. Februar 2017 geschlossen. د افغانستان اسلامي جمهوریت د اطلاعاتو او کلتور وزارت په پام کې لري چې د ګران هیواد د یو تعداد لیکوالانو او شاعرانو څخه ستاینه او قدرداني وکړي. په دی اساس په اتریش کي میشت د افغانستان ټولو قدرمنو شاعرانو او لیکوالانو څخه په ډیر درنښت هیله کیږي چې د علاقمندۍ به صورت کی خپل ژوند لیک، د تیلیفون شمیره او د برېښنالیک آدرس په ویانا کي د افغانستان اسلامي جمهوریت سفارت او دایمي نمایندګۍ ته ژر تر ژره راولیږئ تر څو د ستایني په لیست کي د شامیلیدو په موخه د اطلاعاتو او کلتور وزارت ته واستول شي. 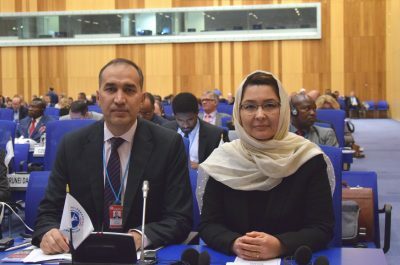 وزارت محترم اطلاعات و فرهنگ جمهوری اسلامی افغانستان در نظر دارد تا شماری از فرهنگیان و نویسنده گان کشور را مورد تحسین و تقدیر قرار دهد. به همین ممنظور از تمام نویسنده گان و شعرای افغانستان مقیم در کشور اتریش صمیمانه تقاضا بعمل می آید در صورت علاقمندی، خلاصه زندگینامه، شماره های تماس و ایمیل آدرس خویش را در اسرع وقت به سفارت و نمایندگی دایمی جمهوری اسلامی افغانستان مقیم در ویانا- اتریش بفرستند تا جهت شمولیت در لیست تحسین نامة و تقدیر نامة به وزارت محترم اطلاعات وفرهنگ جمهوری اسلامی افغانستان، ارسال گردد.